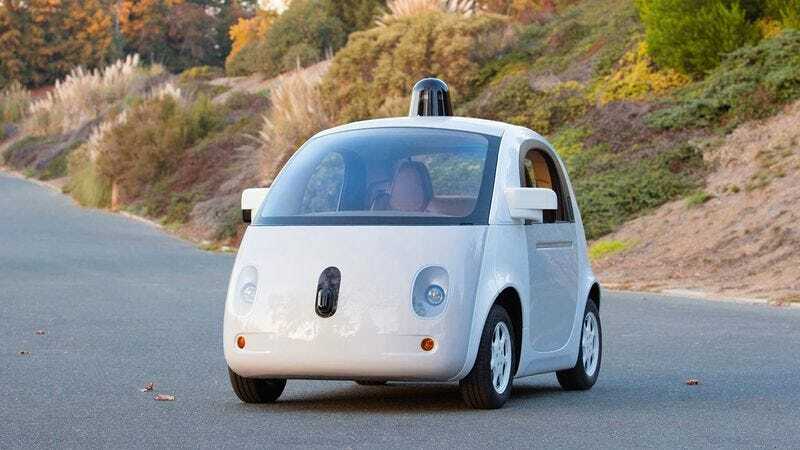 By now, you’ve no doubt heard about the incredible advancements Google has been making in developing self-driving cars. These aren’t just a novelty or convenience; within five years of their release, this technology could end automotive accidents altogether. But when will they actually arrive? Well, I’m here to say that our cars could be on the road tomorrow, were it not for the exquisite splendor of a roadway catastrophe, of shredded metal and scorched leather, that so captivates with its sublime, terrible beauty. Even now, prototype autonomous vehicles are safely navigating the roads around our Mountain View headquarters, using collision detection technologies that could easily be integrated into any modern vehicle. But would that not be like snuffing out a songbird in its nest, stilling the melody that bursts forth anew with every airbag, perfectly punctuated with the percussive snap of vertebrae? The chorus of machine screams and the susurrations of soft, sundered flesh. The polyphonic pavement cascade of violent kineticism that so stirs the undermost soul, that rapturous rupture. Consider this: There were 32,719 automotive fatalities in 2013 alone. Each of these deaths was a precious life that could have been saved with our technology. But each was also a movement in the grandest opera of all, a step in the ultimate ballet, lit with whispering gasoline flames, perfectly harmonious in its cacophony. In their totality, I hear the pulse of the earth. Close your eyes. You know it well. The chorus of machine screams and the susurrations of soft, sundered flesh. The polyphonic pavement cascade of violent kineticism that so stirs the undermost soul, that rapturous rupture. Now awaken the sirens, swelling on the breeze. Oh, the sirens. Don’t you quiver? Now, replace that with the whine of a little electric car. Beautifully engineered, sure, but utterly bloodless. Which is the true tragedy? At Google, we’re in the business of looking at the world as it could be. I could walk out of my office today and tell the Google X team, “It’s time: Let’s change the world.” But could I bear to knock the bloody brush from that grim Picasso’s fingers, that none of us would ever again gaze from an overpass onto another of his tangled masterpieces in glass and viscera? Would I consign us all to an ever-dimmer dawn? For to die is no sin, but to deprive life of its highest art is a great sin indeed. I may be a CEO, but I still have a soul.